Rob OHalloran mist his putt on the 3rd hole! An excellent field of 13 men took to the course in foggy conditions for this weeks Stroke and Putting competition. Bob Glenister was the star returning an excellent 75 off the stick, minus his handicap of 8 to return with a nett 67 and just 26 Putts! Well done Bob. Veteran (of several years, he tells us), Bruce Kindred came in with an excellent nett 69 to be Runner Up. A tremendous effort Bruce, one that will see your handicap go the opposite way to recent trends! Bill Dredge was the unlucky one, missing out after returning a fine nett 70 to lower his handicap without taking home a ball. Three players had 26 Putts, Gary Pollard, Bill Dredge and Bob – but Bob won on a very tight countback. The Ladies completed the 3rd Round of their Club Championships on Wednesday. Laraine Callendar won the day with nett 72 from Arianne Anglin (74). Miranda Gill was NTP. Vicky Clements, Di Elliot and Adrianne fielded a Yea team in the Euroa GC Bowl today that narrowly missed out on bringing home Yea’s first Bowl for some time. Adrianne won B Grade with 34 pts and Vicky won C Grade with 35. Well done Ladies!! 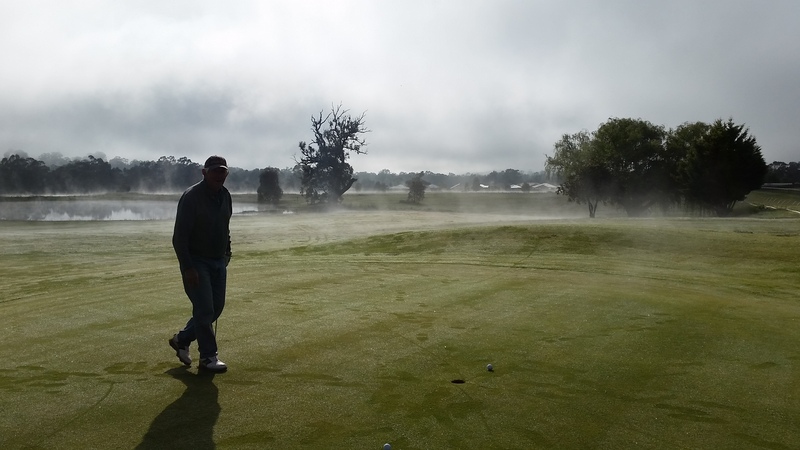 Please note that the course has been sprayed for capeweed and clover this week and with the hanging weather finally improving, so will the golfing conditions…..and, hopefully the scores. Michael Spagnolo Wins in the Wet!